Thanks to everyone, Itty Bitty Kitty, Inc. had a very successful first year. We couldn’t have done this without your help! We are so excited to start off 2009 and hopefully double our success of 2008. Please help us continue this success by passing our name along to anyone who is interested in adopting a cat or a kitten. Without the support of our community we would not be able to continue saving the lives of the cats and kittens that come into our care. We also would not be able to help the people who are taking part in controlling the feral cat colonies throughout the Lehigh Valley. Dr. Hess has dedicated many of her days off during the week and on the weekends to perform the surgeries for our Spay-Neuter program. Without her, we wouldn’t be able to help with all the feral cat colonies. The Staff at Dr. Karen’s Critter Care have also been a huge help and always manage to get our kitties in no matter how overbooked they are. Without either, we would not be able to do half the things we do! We are proud to be part of the Hill’s Science Diet Shelter Program. Hill’s provides us with good quality food for all of our foster cats and kittens. They also give all of our adopters a free 4lb bag of dry cat food. Without their support and generous donations, we wouldn’t be able to provide our foster cats and kittens with quality food. Thanks to PetSmart Charities for allowing us to be part of their foundation and allowing us to participate in adoption days at the local PetSmart Store. A huge thank you for giving us the Adoption Center at their Quakertown store. Thanks to the Petco Foundation for the recent grant money obtained for our Spay-Neuter Program. Thanks to the managers at the store in Whitehall for allowing us to host adoption events. 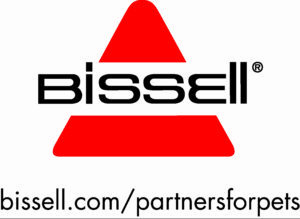 Bissell provides Carpet Steamers and Shampooing machines for Itty Bitty Kitty to Auction off to support the ongoing expenses of the shelter and the kitties that stay there until they find their forever home. 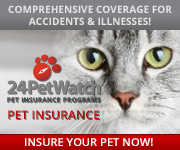 24PetWatch Insurance provides discounted insurance for pets and helps provide low to no cost backend administrative software to make sure the shelter and organization tracks and promotes the kitties. Thank you to all those that contribute, we and the kitties appreciate it.